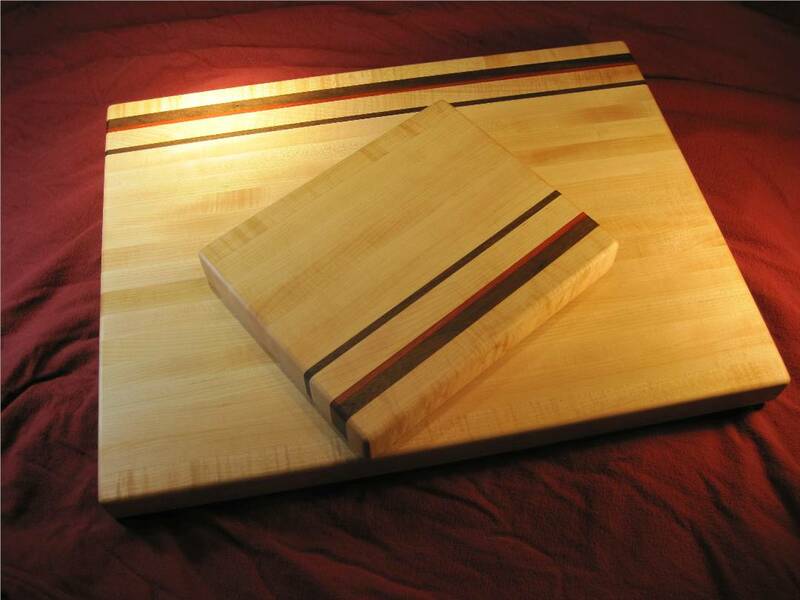 These two boards were made for a customer in California. The larger one is 15" x 20" x 1-1/2" thick and has four rubber feet to prevent it from sliding around on the counter. The smaller board is around 8" x 10" x 1-1/2" thick. The boards were made to match, with walnut and padauk accents, and birdseye maple edges. 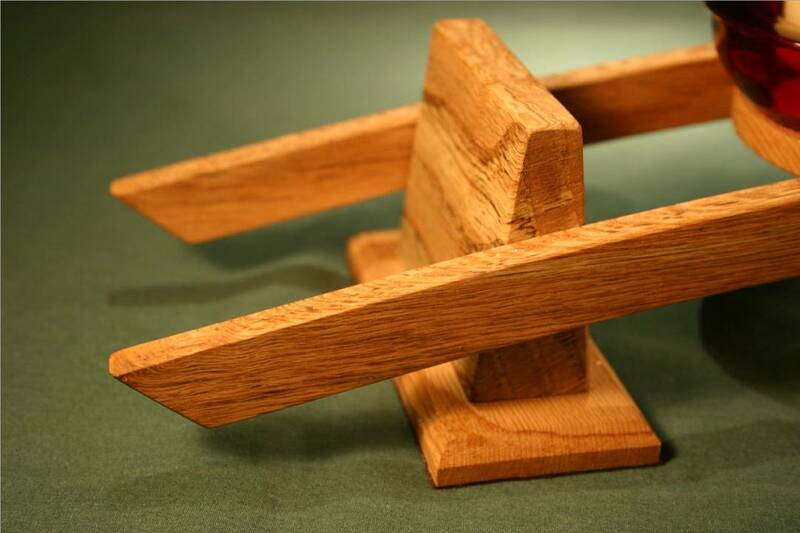 This graceful, trestle-style candle holder is made from tan oak. 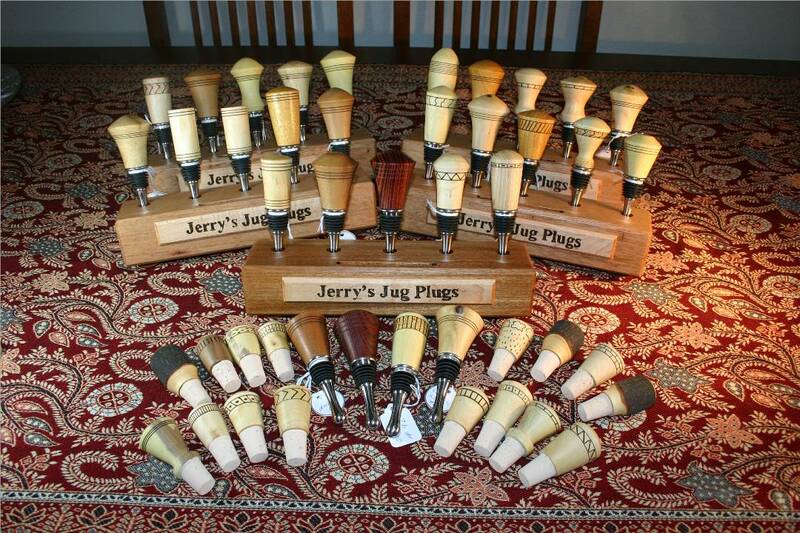 The finish is Danish oil, and the bottom of each pedestal is lined with felt. One of my favorite bottle stoppers. Sold to Angela, as a Christmas present for her boss. 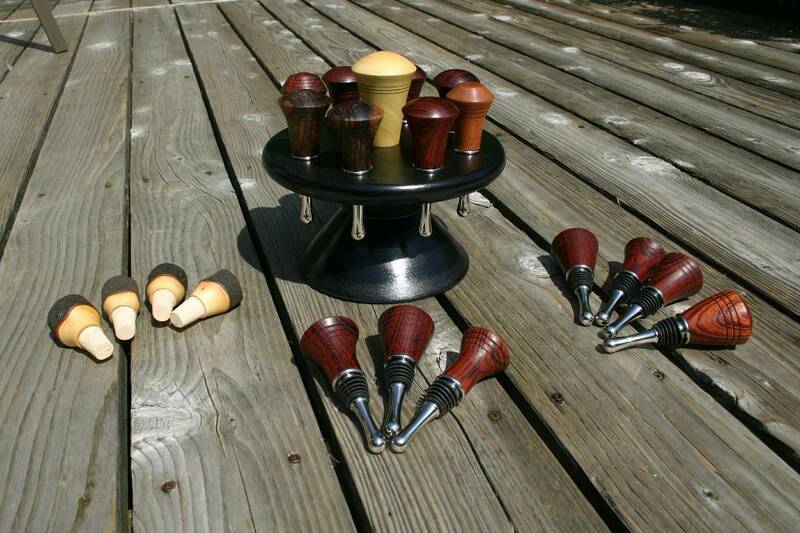 I made these bottle stopper displays to sell stoppers in some of the local shops. 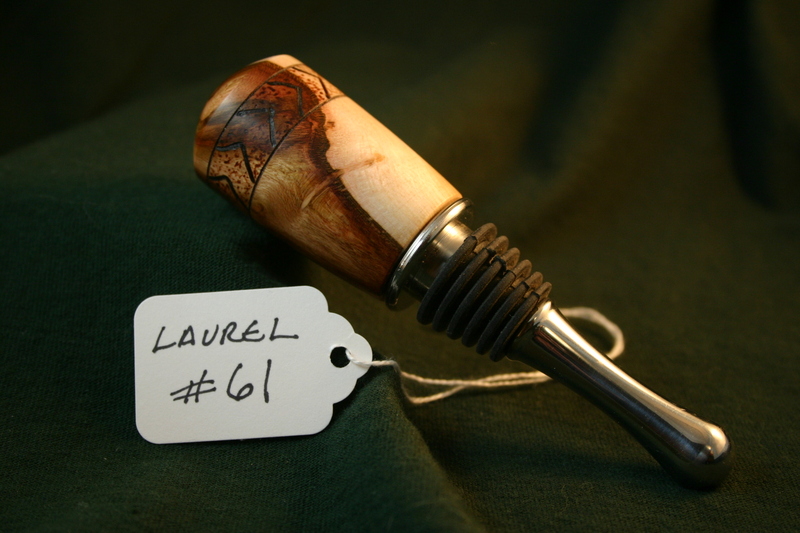 Just playing around with my lathe... 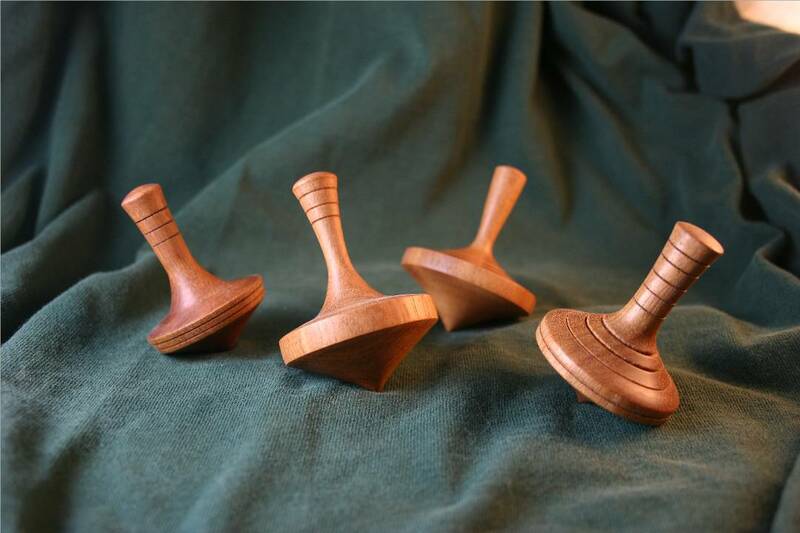 These tops spin great - and for a long time. I made this revolving display on my lathe. It's sitting in a small bistro in Camas, WA, with stoppers for sale. 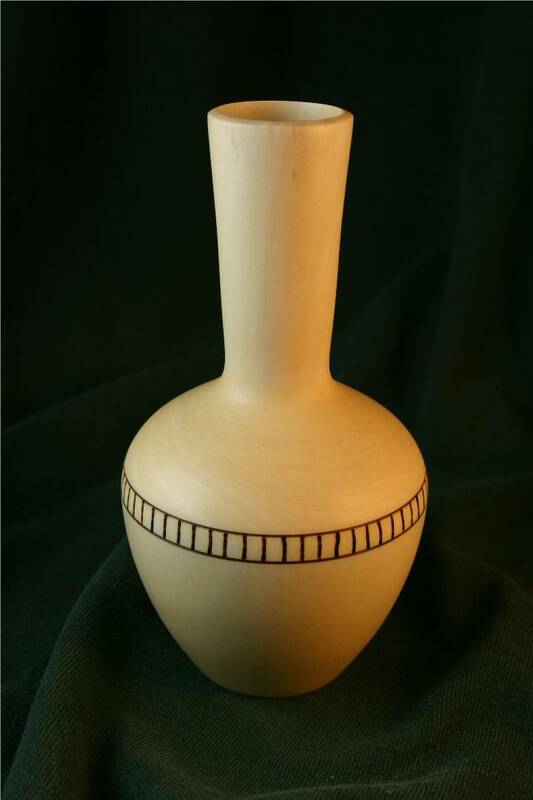 I made this bud vase, or weed pot, from a piece of clear holly that I got from a family in Mollala, Oregon. It's about 5" tall and silky smooth. The finish is Danish oil. I signed and dated the vase, as I do most of everything I make.